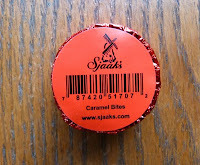 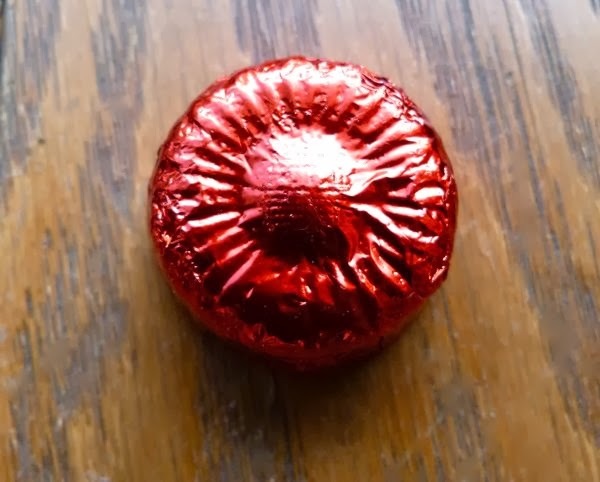 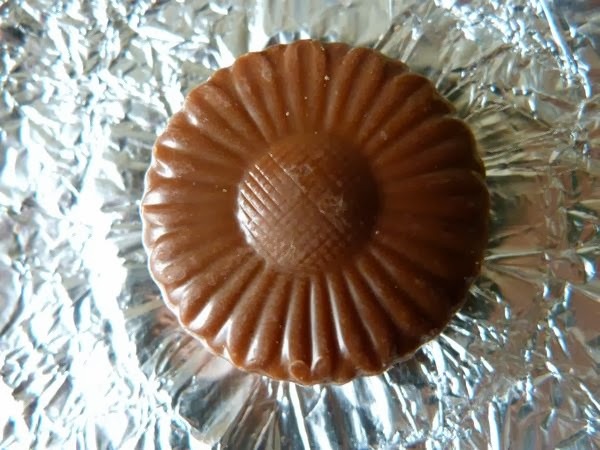 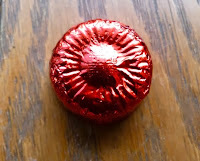 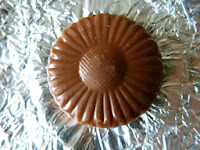 Today's Caramel Bite -- a bite-sized, flower-shaped chocolate from Sjaak's Organic Chocolates (Petaluma, CA) -- came individually wrapped in festive red foil. 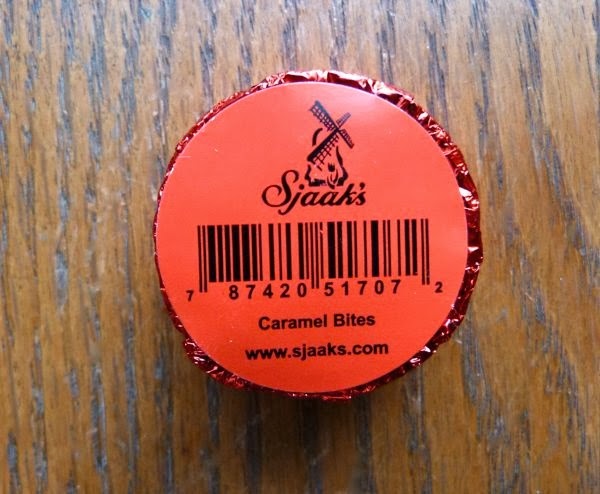 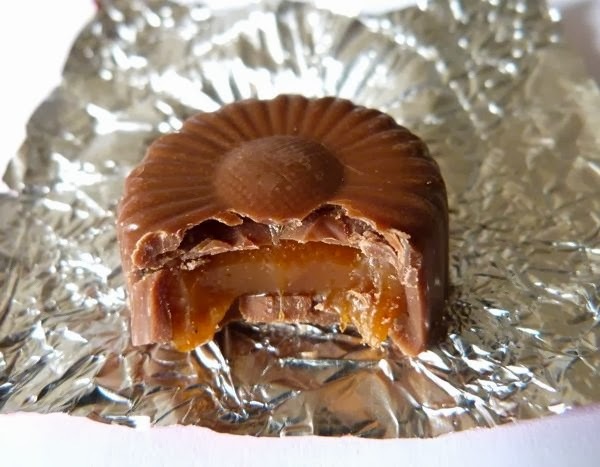 This chocolate covered Caramel Bite (one of several different flavors of Bites from Sjaak's) had, as advertised, a soft caramel center, and was just the right size for a small snack, or tiny gift. 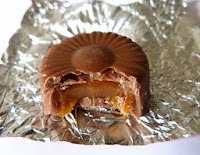 Today was Day #4 of Chocolate and Caramel Theme Week.